Life size model showing the right side of a human head with superficial muscles. 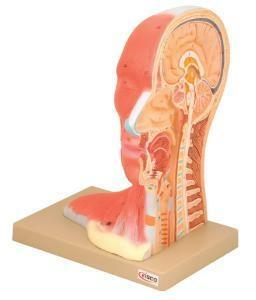 The head is bi-bisected to show the internal structure of the skull, brain, nose, mouth and neck. Excellent detail for study and testing.